MC-1000-SFP is a mini-size 10/100/1000Base-TX to 1000Base-FX (also can be forced to 100Base-FX) media converter, fully compliant with IEEE802.3U, IEEE802.3z 1000Base-TX/FX protocols. 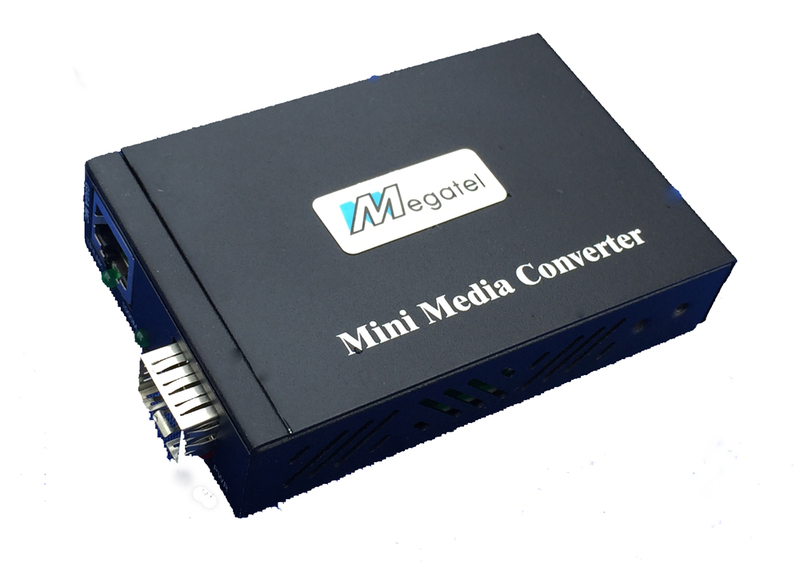 This converter supports auto MDI-MDIX function, flow control for full and half duplex operation, etc. A DIP switch is placed at the bottom of the case. Depend on different configurations, the user can set the different operating mode (Force FX to 100M, pass through mode and LLCF).